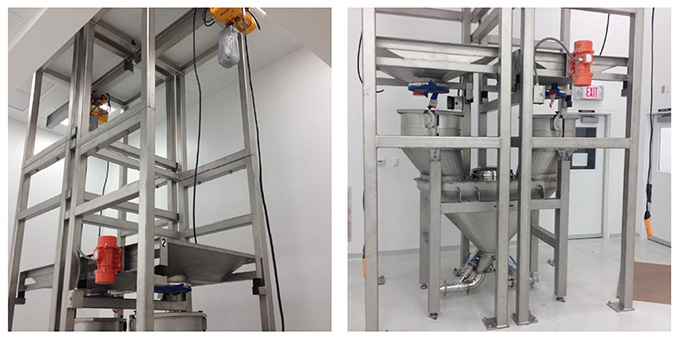 Our modular Bulk Bag Unloading Station (BBU) is optimized for dust-free operation when used with Volkmann Vacuum Conveyors. 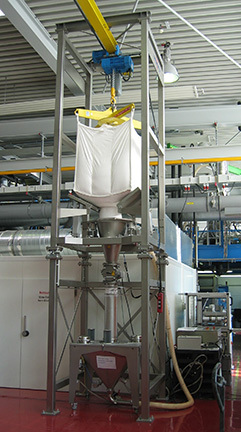 It can be used for a variety of materials and can be customized to make poor flowing materials come out of the bulk bag and convey them into process areas without any contamination of product or surrounding areas – providing a true contained dust-free bag connection. Customization can be done easily to fulfill all local demand and application requirements. 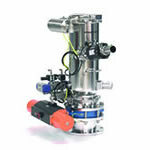 Improve production rates with a twin BBU. A common discharge hopper overcomes time lost in bag changes.